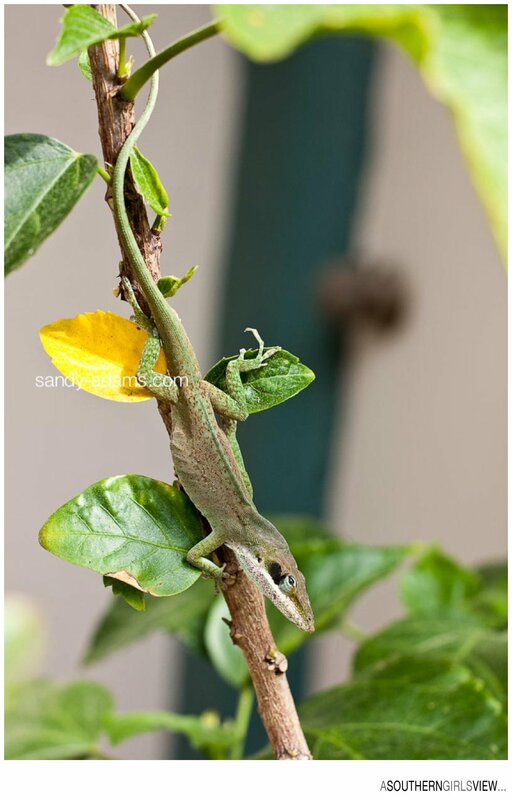 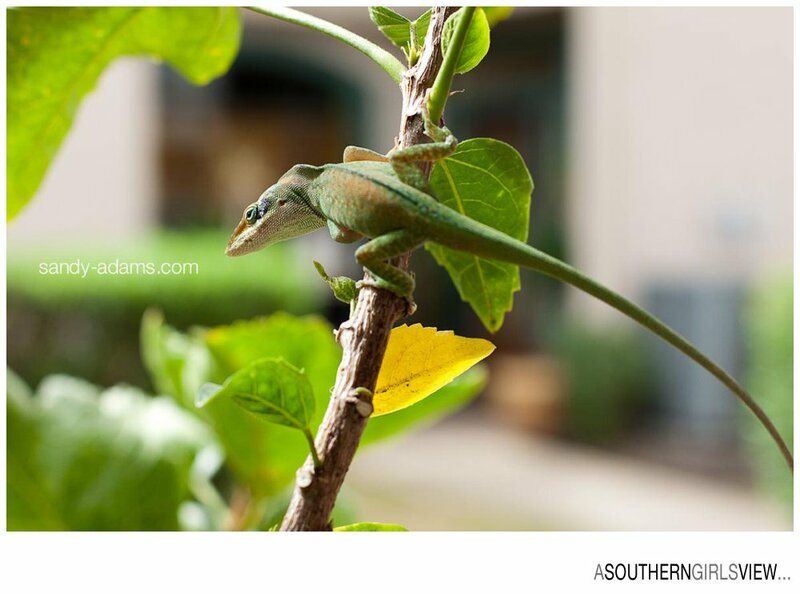 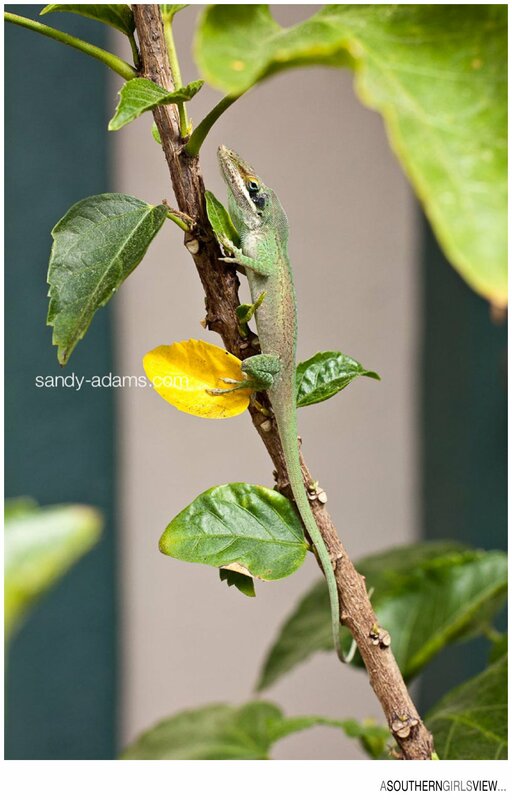 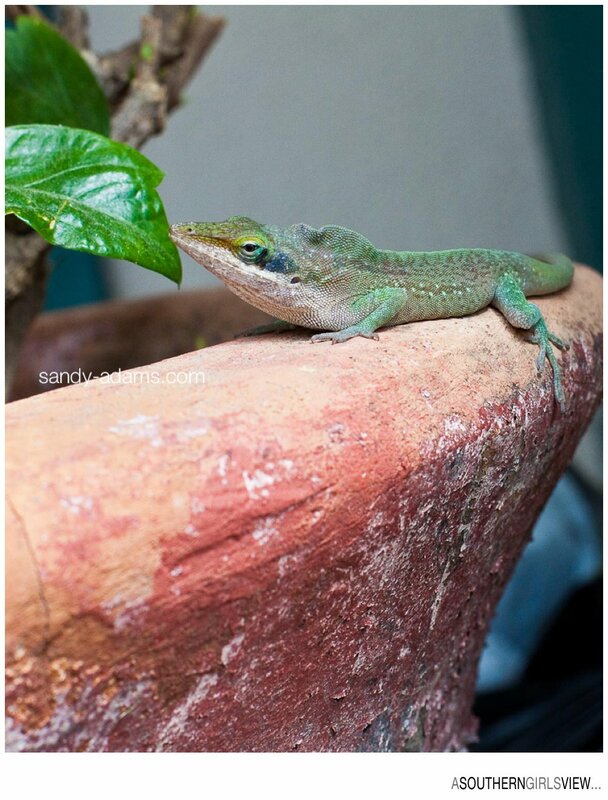 This cute little critter was lounging on my patio the other morning… Meet the Carolina Anole or American Chameleon as it is often called, but he does not technically fall into the Chameleon area. 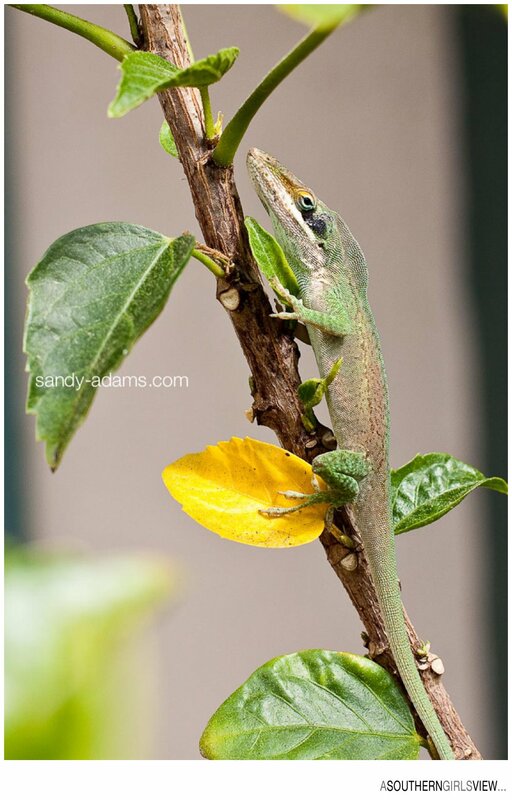 There were actually two males on the patio this particular morning and I am fairly certain they were males since they were moving in a circle around each other until they launched themselves into a quick fight. 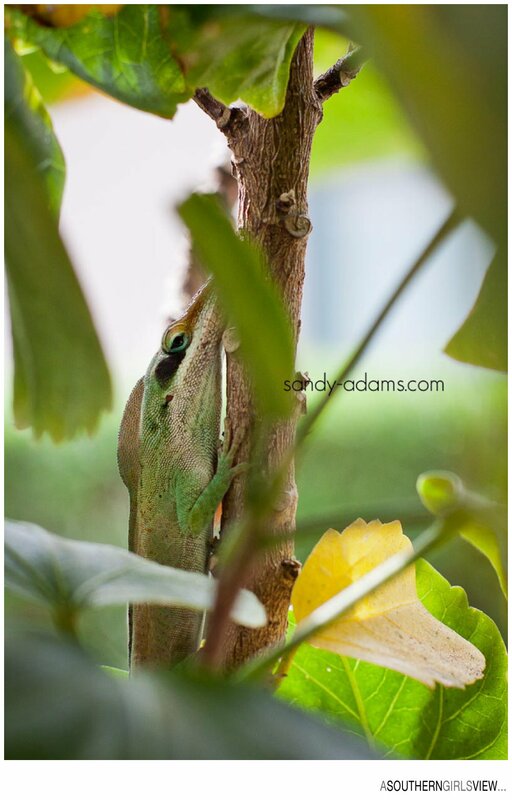 It was fascinating to watch – I was in no particular danger since they are only 2-4 inches long. 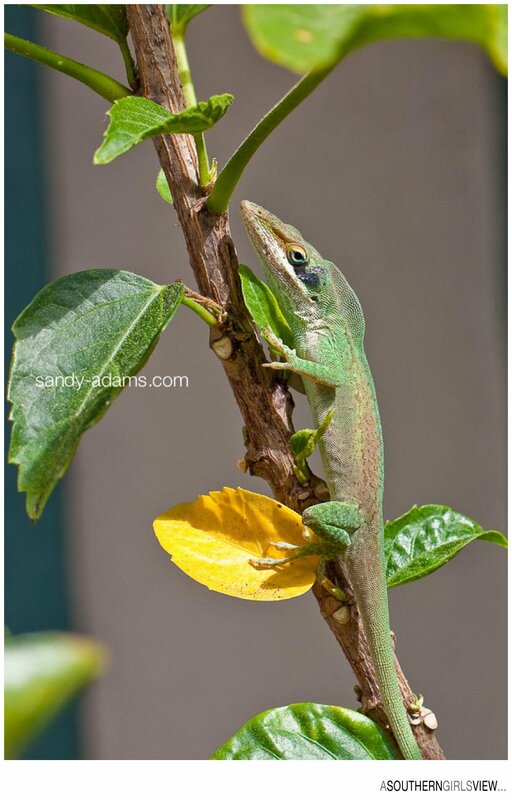 We have tons of them here, especially in the heat of summer when there are hundreds of babies running back and forth across the sidewalks. 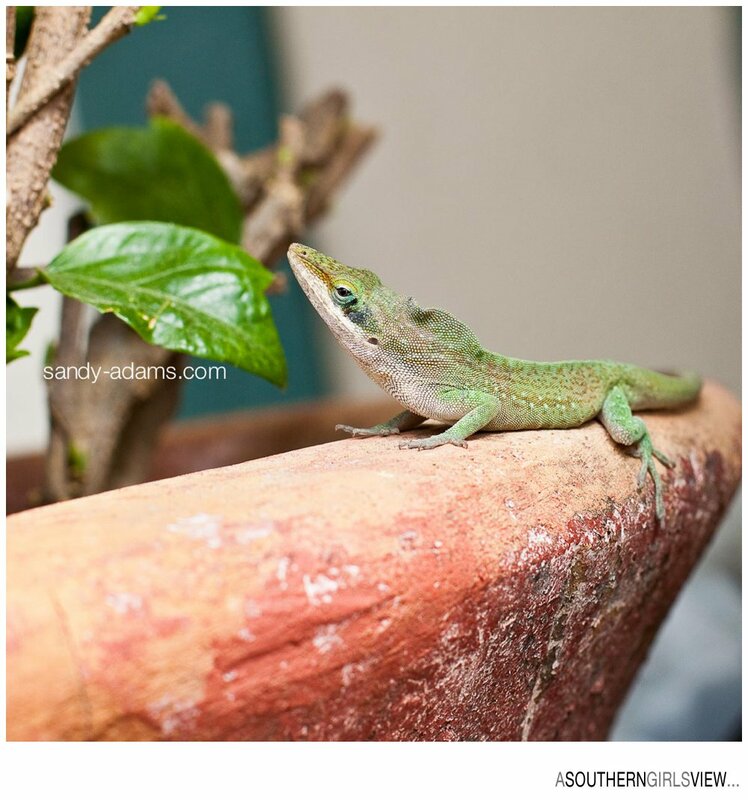 I learned that the babies hatch quicker the hotter the temperature!